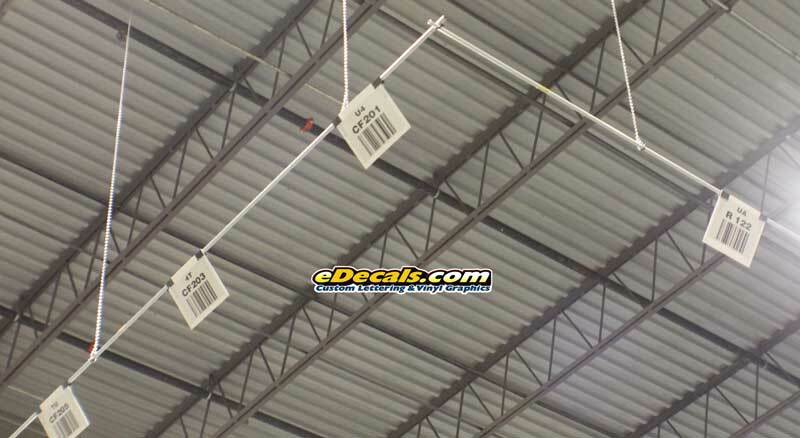 Do you need a warehouse bar code sign to hang from wire or conduit? We have a solution for you! Our aluminum or PVC bar code pallet location signs are designed for installation from suspended conduit or wire runs. They feature the location code, check digit information and 128 style standard bar code. They are readable from 50ft and can be shipped anywhere in the world! Do you need conduit, chain and sign installation services done at your location? We have a team of professionals ready to provide you with the materials and expert installation. We have a mobile command unit that travels the eastern United States providing these services on a constant basis. 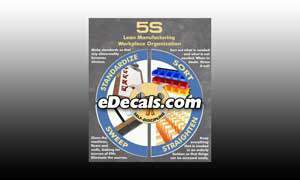 - Full service warehouse pallet location bar code sign manufacture and installation. - Fast proposal turnaround and immediate start times for most projects. - Prompt professional installation services for new facilities as well as existing occupied spaces. - Laser measured precision for all conduit runs along with top quality materials. - Onsite crew as mobile support vehicle with aerial lifts, materials, equipment, etc. - Flexibility for your facility including alternate work hours options for nighttime off shift installs. - Manufacture and installation the signs to your specifications or installation of your existing signs. - Design and consulting services including working with PM, line striper and other contractors to get the job done quickly and correctly. - Facility sign manufacture including aisle signs, large scale building layout boards, safety signs, overhead door numbering, roadside signage, building signs, GEMBA calendars, TACT boards, etc. We pride ourselves on the ability to work with the Project Managers, Engineers, General Managers, line stripe installers, and other on site contractors to provide a fast turnaround and seamless transition between an empty building and fully functional warehouse. As you have witnessed on some of our previous projects for Kenco, we are proactive in seeking out and solving any engineering or facility layout issues. We work closely with all contractors to ensure that our work is done on time and on budget. As logistic companies continue to expand into new territories, we have also begun to expand our reach to include a greater part of the United States. We look forward to having to ability to serve your clients in a wider range of states. With our recently updated support vehicles, we can literally stay onsite until the job is complete! We are eager to earn your business through constant attention to detail and quality product installation. Our state of the art system allows us to hang chain, install conduit runs and install bar code signs in an efficient, safe and cost effective manner. We offer a full range of onsite installation services for your bar code signs! 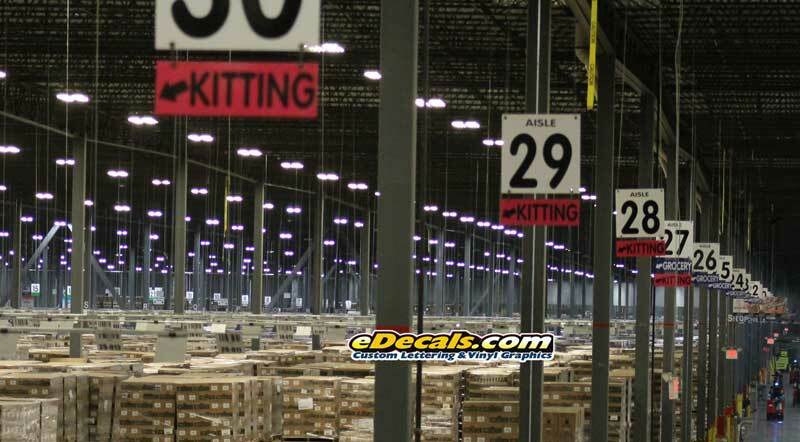 We can provide staffing and materials to install the necessary chain, conduit and bar code signs for your pallet stows. We offer a fast turnaround time and can also provide much needed directional signage for your facility as well. Below are some recent pictures of installs we have done. Contact us today for a free price quote on your job! We are proud to have completed work for M&M Mars Candies, Ford Motor Company, Sony Music, Keurig/Green Mountain Coffee, Haier, Mackenzie Companies, Epic Records, Shoprite/Readington Farms, and Post Cereals just to name a few.